Kushikatsu Daruma is one of those places that speaks to me on a whole different level, being an overworked millennial myself. In Japan, Kushikatsu Daruma is the go-to tavern for overworked office peeps to get good and filling grub, and to relax with a few drinks after a deadly workday. It's the place where you recharge and get yourself together for get another grueling day to follow. In the Philippines, I feel that we're already at that level, and that it just hasn't been formally studied or measured yet. Almost all my friends work 10-12 hour workdays, often even giving up weekends and holidays just to get things done. We're at Japan and Korea's levels of overwork already, and we ought to have our own taverns to eat away our heartaches and exhaustion. That tavern for me will have to be Kushikatsu Daruma, even if it's so far away from my house!!! The menu is always a joy to see because of all the whimsical takes on "No Double Dipping" comics. 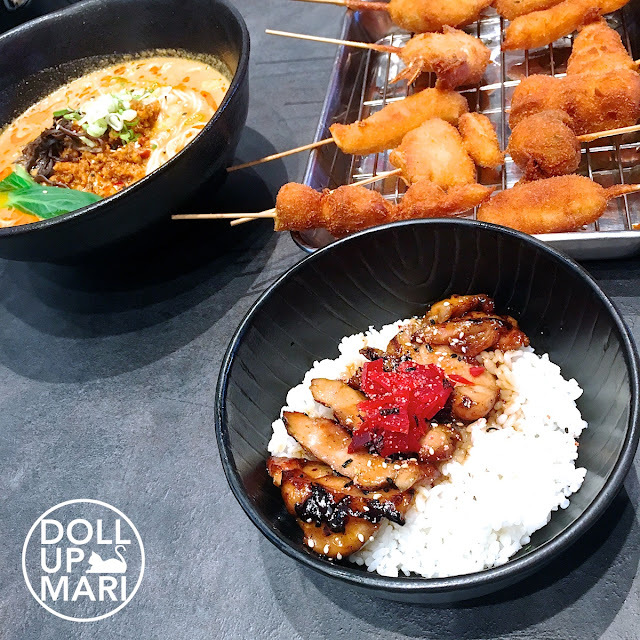 In the Japan branches of Kushikatsu Daruma, strangers are made to share tables to efficiently use resto space, which is why there is a strict no double dipping rule on the sauce. 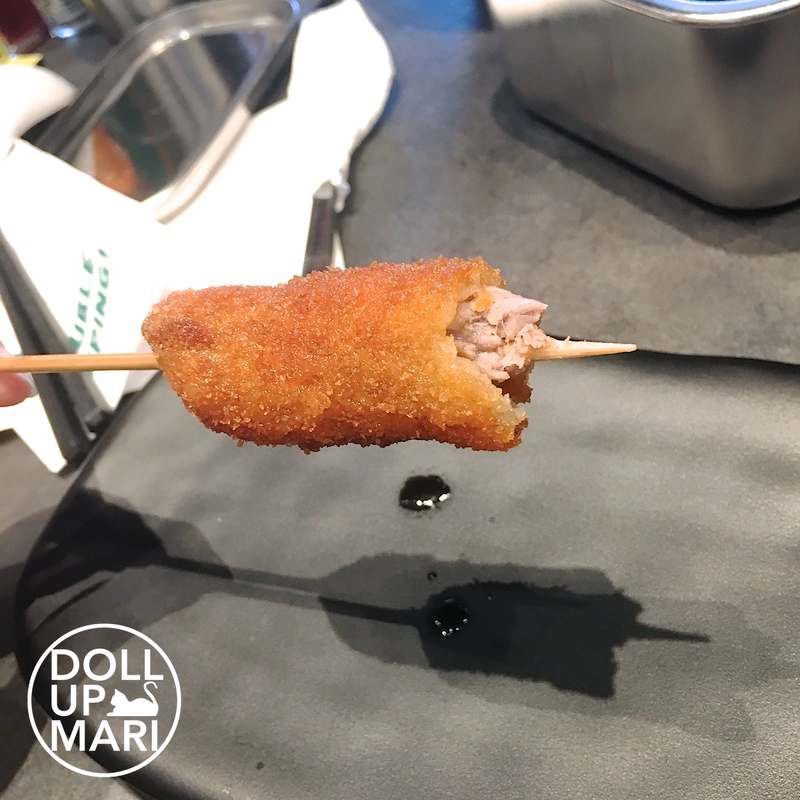 Kushikatsu needs to be dipped in a relatively large vat of sauce to be properly coated, which is why the notion of placing the sauce in small sauce bowls (like the ones we use for soy sauce or vinegar) won't work. 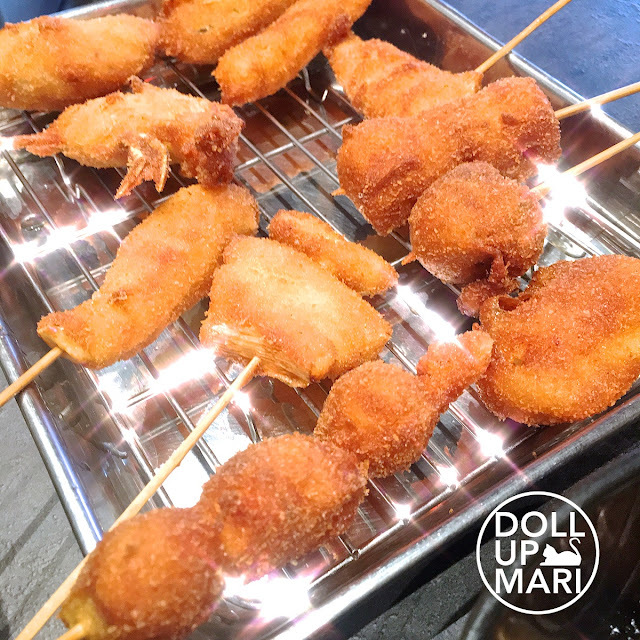 This time, mom and I went on this Kushikatsu Date. 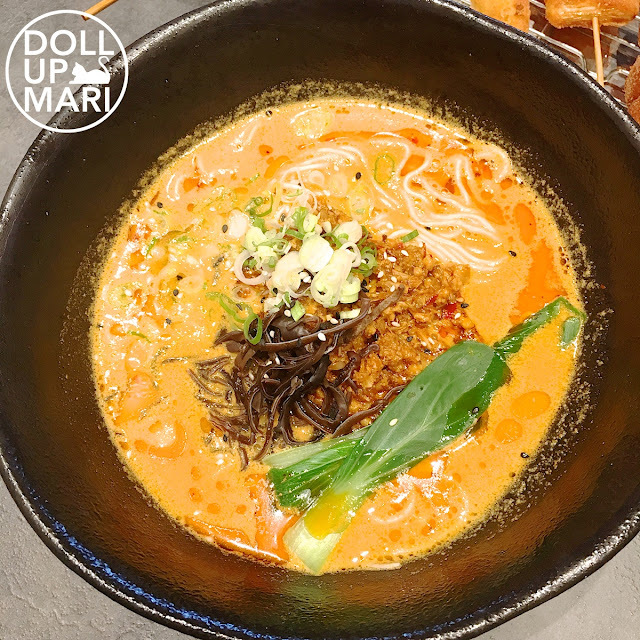 I tried out their Tantanmen (Php365) to see what it was like. I love tantanmen a lot and I usually will try every tantanmen I encounter. Theirs has a very very very rich broth, and very very very richly seasoned meat. If you're on those days wherein you want something sooo self-indulgent, then this is the ramen to go for. 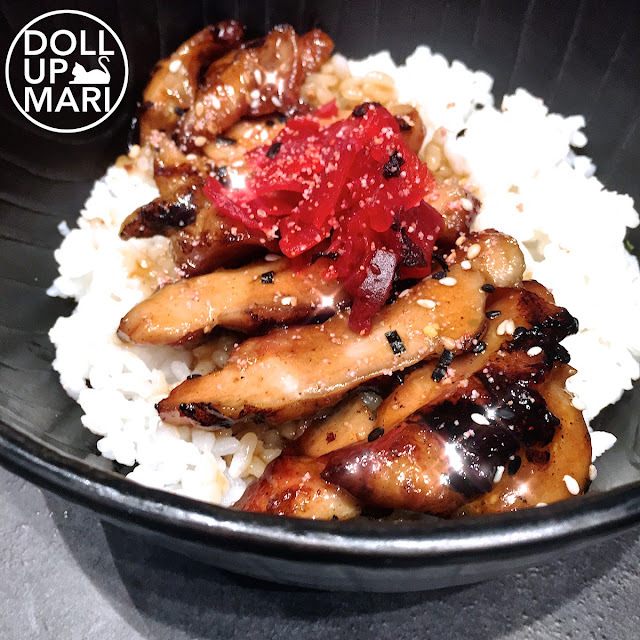 Their rice bowls have been magical since the beginning, so it was no wonder that my mom really loved their chicken teriyaki. Hot, grilled to perfection, and seasoned in such a lovely homemade manner. It definitely will hit the spot, more so that their rice is especially fluffy (compared to other Manila Japanese restaurants). We also obviously also went wild with the kushikatsu. We didn't eat all of this ourselves! We brought this home. My brother and sister had their own Kushikatsu Daruma tavern experience at home and found these very comforting to eat. I really can't put it into words, but the kushikatsu from Kushikatsu Daruma really just has this power to recharge weary souls. It may seem like a simple dish, but it's the attention to detail that makes it so difficult to perfect. 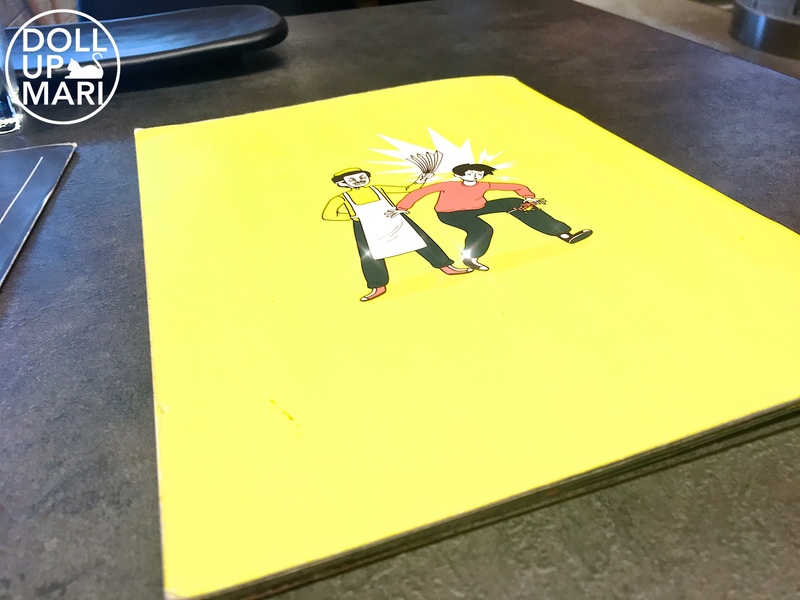 The chefs are trained in Japan to get the right temperature and the right frying time for each item, given that different food items will have differing cooking instructions. For dessert, I finally was able to have their super popular Caramel Miso Ice Cream (Php100)! Ah, heaven in a bowl. The crunch topping takes the cake with its irresistible roasted flavor and impressive crunch factor. 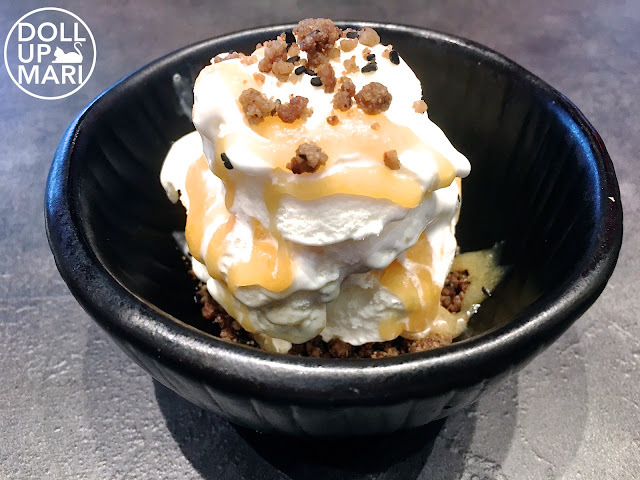 The caramel syrup compliments the more savory crunch topping for a perfectly balanced dessert. And a selfie 25 pounds ago! This was taken when I still didn't have cholesterol problems so I was indulging on everything with no restraint. These days, I still see myself indulging at Kushikatsu Daruma soon, but I'd just have to be more conscientious about it.